On this Earth Day, it’s worth reflecting on new disclosures that show the anti–global warming campaign was infiltrated by the opposition. Editors' Note: After a review, we've determined that this blog post overstates the role Blue Line Strategic Communications and its founders, Michael Meehan and David DiMartino, played in Clean Energy Works. A coalition comprised of dozens of NGOs, Clean Energy Works was founded in 2009 to campaign for the passage of climate change legislation. The organization was led by Democratic strategist Paul Tewes and a managing committee comprised of representatives from each of the participating groups, which collectively determined the coalition's priorities and strategies. Clean Energy Works subsequently hired several firms to work on the campaign, including Blue Line, which handled strategic communications. While Blue Line played a role in shaping the campaign's messaging, it neither managed Clean Energy Works nor was it in a position to unilaterally determine strategy, as the post suggests. The post also leaves the impression that Michael Meehan worked for Clean Energy Works. While Meehan worked for groups that were part of the broader coalition, he did not work directly with Clean Energy Works. That account was handled by his partner David DiMartino. As Fang reported, Meehan was a vice president at Virilion, the digital media company that held a $19 million contract from American Coalition for Clean Coal Electricity. Meehan maintains, however, that he never worked directly on the ACCCE account, which preceded his arrangement with Virilion, and had no financial stake in it. Both Meehan and DiMartino, who were not interviewed before publication, contacted The Nation to say that neither of them are registered lobbyists, as the post describes them, but rather communications professionals. They previously worked at BGR Public Relations, part of the BGR Group, which has lobbied on behalf of fossil fuel companies, although both Meehan and DiMartino maintain that they had no role in those efforts. We stand by the post's contention that Meehan's work for Blue Line and Virilion—while Blue Line was coordinating communications strategy for Clean Energy Works in favor of climate legislation and Virilion was working to block the same bill—created an apparent conflict of interest. What is not supported by the evidence is that this conflict influenced Clean Energy Works' strategic decisions and ultimately contributed to the failure of the bill. We apologize for the errors. On this Earth Day, we are three years out from the last window of opportunity to pass a climate bill in America. Harvard University’s Theda Skocpol has done the best job so far in diagnosing why, at the outset of the Obama administration with large Democratic majorities in Congress, progressives failed to enact a law regulating or pricing carbon pollution. Her conclusion is that reformers spent too much resources on an “inside game” of lobbyists and dealmakers and not enough on grassroots campaigning, and that reformers failed to make the case about the dangers of global warming. She’s right, but here’s another reason: The guys who managed the campaign were also secretly working alongside the opposition. Three years ago, reformers established a group called Clean Energy Works that would manage a coalition of more than sixty organization to develop advertising, field and lobbying to pass a climate bill. New disclosures not only show that Clean Energy Works and its affiliates spent about $37 million on advertising and less than $900,000 on grassroots organizing, but that the firm at the helm of the effort, then called Blue Line Strategic Communications, was in bed with the coal industry. In the summer of 2009, a consulting firm called Blue Line Strategic Communications was picked to manage Clean Energy Works. The firm was run by David DiMartino and Michael Meehan, two former industry lobbyists and Democratic staffers. It was Blue Line, according to discussions with those involved in the process, which decided to pass the bill without ever mentioning global warming or any of its effects. The firm ignored the science and the dramatic consequences of inaction and focused instead on stressing the secondary benefits of a clean energy economy, like energy independence and job creation. It was a novel approach. In nearly every Western industrialized country that has implemented economy-wide carbon controls, reformers have talked about the effects of climate change—crop failures, extreme weather events, desertification and rising sea levels—to get the public on its side. In California, the only state to pass a mandatory cap and trade law, environmentalists aired ads with a narrator discussing the dangers posed by climate change over scenes of devastation and an hourglass, which gave the viewer a sense of urgency. “Warnings couldn’t be clearer: this is the hottest summer on record, forest fires in the west caused by global warming can be seen from outer space,” blared an ad that paved the way for AB 32, the landmark climate change law signed by Governor Arnold Schwarzenegger in 2006. The strategy from Blue Line and its partners to ignore climate change played into the hands of polluters, which sought to suppress support for the bill by spreading doubt about the consensus over the science. “If we win the science argument, it’s game, set, and match,” Tim Phillips, the political operative hired by David Koch to fight the bill, later told a meeting at the Heritage Foundation. The American Coalition for Clean Coal Electricity (ACCCE), a front group group financed by the biggest coal mining and coal-based utility companies in America, spent more than $92 million during the first two years of the Obama administration, much of it on lobbying and advertising against bills like Waxman Markey. The group gained infamy when one of its consulting firms was caught forging over a dozen letters from local NAACP groups and senior citizens to key lawmakers, asking them to oppose the bill. One of the recipients of the ACCCE’s largesse was none other than one of Blue Line’s two partners, Michael Meehan. While Meehan led Blue Line’s pro-cap and trade effort, he also served as vice president to an online marketing firm called Virilion. Disclosures show that Virilion, which also rented office space to Blue Line, helped ACCCE manage its anti–cap and trade marketing budget in exchange for $19 million during the two years in which the legislation was debated. The conflict was complicated by the fact that Meehan, and his partner, David DiMartino, had been employed by an infamous polluter lobbying firm only months prior to taking up the cap-and-trade job. The pair had worked for the BGR Group, a lobbying firm founded by former Republican National Committee chair Haley Barbour, up until the month they were hired by the coalition of environmental groups. While Blue Line worked closely with the Obama administration and its liberal allies, Blue Line maintained a “strategic partnership” with BGR, which at the time counted coal-fired utility giant Southern Company as a major client. Of course, this conflict of interest was not the only reason Waxman Markey failed. 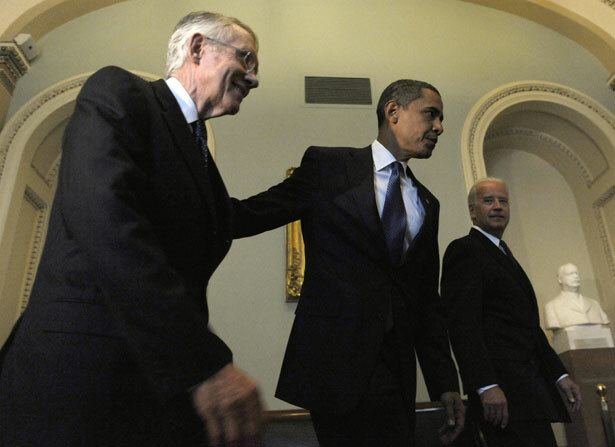 Senator Harry Reid could have written reconciliation rules into the January 2009 budget in order to pass it with fifty-one votes. President Obama could have been more forceful. The lazy traditional media that failed to report on climate crisis, pervasive corruption in Congress, Citizens United providing polluters a greater bludgeon to defeat reform politicians, the USCAP coalition that saddled legislation with industry giveaways and poison pills, the unprecedented lobbying by polluters, the collapse of moderates within the GOP—there are many, many reasons why a climate bill did not pass. But let’s be clear: reformers had issues from the inside as well. UPDATE: Someone close to the Waxman Markey reform efforts e-mailed to note that in addition to the coalition money spent on field, individual advocacy groups, including the Sierra Club and several other green groups, spent an undisclosed amount on their own grassroots organizing that would bring the total above the $900,000 referenced above. Still, disclosures show the coalition Clean Energy Works spent a disproportionate amount on advertising and media consultants. UPDATE: Meehan contacted The Nation to say that he is not a lobbyist but instead works to influence the media on public policy issues. He presents two arguments about conflicts of interest raised by this blog post: Meehan told The Nation that he left BGR because of the company's fossil fuel clients. However, he says he did not leave Virilion because he did not work directly on the coal industry account. Read Lee Fang on the role deregulation played in the West, Texas chemical plant explosion.